Update: Sorry to anyone who’s just seeing this now, but Season 8 has ended. However, Season 9 is just around the corner if you want to hop back on the Seasonal achievement bandwagon. 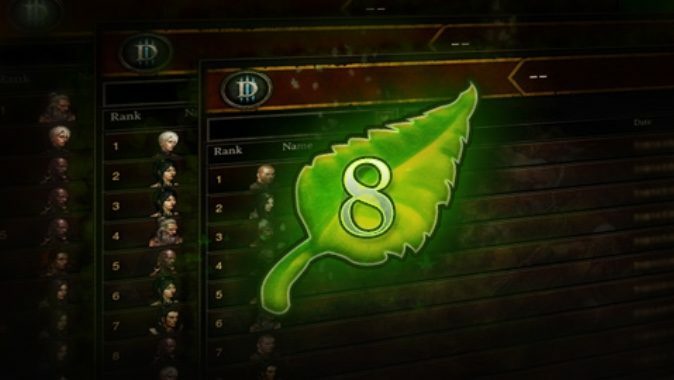 As with every season, your seasonal characters will become regular characters while your gold, blood shards, stash, achievements, Paragon experience (but not Paragon levels), new Artisan recipes (and Artisan levels, if higher than your non-seasonal Artisans), and new Kanai’s Cube recipes will roll over to your regular characters. If you hit level 70 this season, you’ll also earn this season’s boot and pants transmogs. Patch 2.4.3 will be rolling out on to the live realms on January 3, between Season 8 and 9. It includes a bundle of new items, Greater Rift improvements, and the Darkening of Tristram 20th anniversary event — but check out the full 2.4.3 patch notes for all the details. We still don’t have any word on when the Necromancer will be joining the game lineup, but we should see the class some time in 2017.